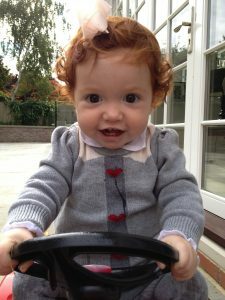 My daughter, Margot died on 27 October 2014 and we registered Team Margot Foundation as a charity three months later, in her memory and to honour her legacy. 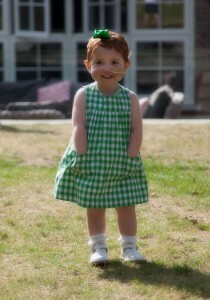 Next month, the charity will be older than Margot ever was, however Margot remains our inspiration and our reason to believe. 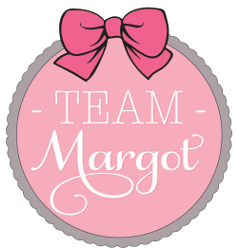 Team Margot Foundation was set up as a Charitable Incorporated Organisation (CIO) on 29 January 2015. There are four trustees who meet regularly during the calendar year to govern and administer the charity. The trustees also set the strategy and agenda, which the trustees then deliver, assisted by fantastic supporters like you. Team Margot Foundation has no employees nor paid advisers and accordingly there are no salaries, nor expenses paid by the charity. The trustees are unpaid, as are all the many other wonderful Team Margot volunteers and supporters around the world. 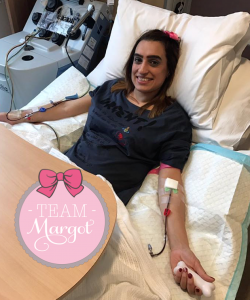 Everyone at Team Margot strives to make a difference to the extent to which they are able – we want to help save the lives of all those people who, just like Margot and our family, never thought they’d need a bone marrow transplant. 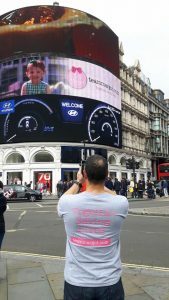 The vast majority of the costs incurred by the charity are the hard costs of marketing and promotion, including collateral such as envelopes, postcards, postage, wristbands, lapel pins, t-shirts and sporting kit. We are happy to give these promotional items away, free of charge, because we value highly the lasting positive social impact that arises from the ensuing conversations and “word of mouth”. We know that there are beneficial knock-on effects and at times, incredible as it may sound, life saving outcomes. 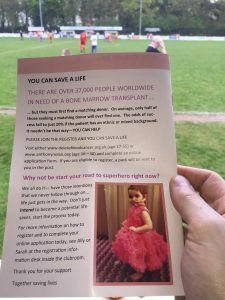 Our charity accounts for this year will be filed in due course, however the significance of publishing this, our second annual review on 21 February, is that today is the date in 2014 when Margot received her bone marrow transplant. THANK YOU so much for supporting the work we do and also for your various efforts and contributions. It all helps and we are hugely grateful. Together, we are making a difference and ultimately, saving lives. In October 2013, Margot was diagnosed with an extremely rare bi-lineage leukaemia and needed a bone marrow transplant (also known as a stem cell transplant) to stand the best chance of survival. 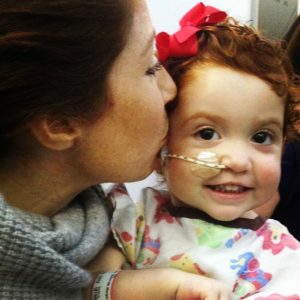 Family and friends came together as “Team Margot” to help find her a matching donor. 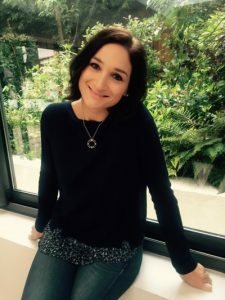 Because of Margot’s mixed heritage, we were unable to target specific communities, so we launched a global appeal asking the public to do something amazing: register as potential stem cell donors and encourage others to do the same. 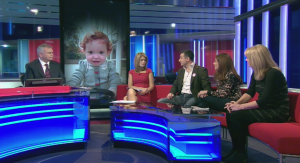 We explained how such a selfless act could save a life and that it could be our daughter’s. 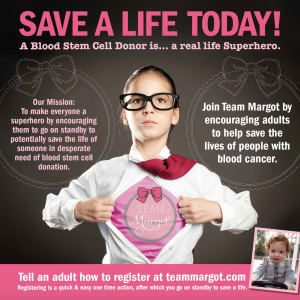 Team Margot’s efforts to date have resulted in tens of thousands of people registering as potential stem cell donors. Statistically, this means that during the next ten years, more than 500 people will now have the chance of a potentially life saving stem cell transplant. During Margot’s appeal, we were careful not to confuse our public appeal for more potential bone marrow donors, with fundraising or financial donation. In that sense, not much has changed. Our clear message remains: it’s all about registrations. And in particular, we underscore the urgent need for more registrations from the Black, Asian, mixed race and ethnic minorities. 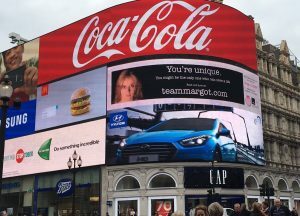 Nevertheless, we realise that many people want to donate money and/or fundraise, regardless of whether they have registered: some because they’re ineligible to register, others because they’ve been touched or inspired by Margot’s story / the efforts of Team Margot. 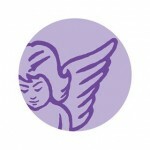 Team Margot Foundation gratefully accepts financial donations and funds raised by those who wish to support what we do. To all our wonderful donors and fundraisers, THANK YOU so much again for your fabulous support. 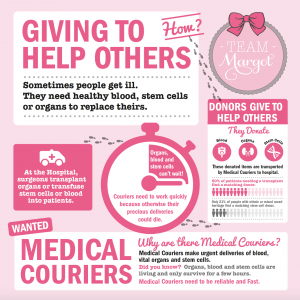 At the core of what Team Margot is about is the concept of “giving to help others”. When we say “giving”, in this context we don’t mean giving money; instead, we mean giving, literally, a part of ourselves for the sake of others, hopefully to help save a life. Often, people don’t know how to give in this way and sometimes, the mere thought seems frightening and uneasy. 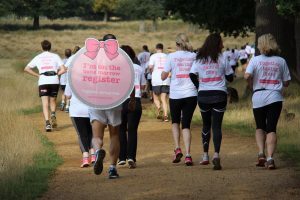 Which is why we signpost where to go on teammargot.com, explain what’s involved and encourage people to register. More potential donors on the stem cell registers, mean more patient matches and ultimately, more lives being saved. We are encouraged by the ongoing advances in medical science and we very much hope that a better cure for blood cancer will be established soon. However, for the foreseeable future, bone marrow / stem cell transplants represent the best chance of survival for many patients with blood cancer. And you might be the only donor who can save a life. Whilst our efforts are primarily directed towards increasing stem cell registrations, there is a virtuous knock-on effect that leads people to think about other giving, namely blood and platelet donation and also organ and end of life donation. 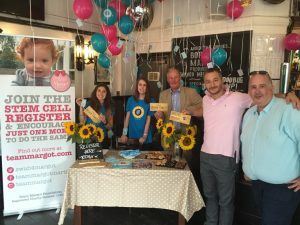 Team Margot works with all the UK organisations in the stem cell / bone marrow arena – we don’t mind how you choose to register, only that you do please register ! During 2016, we re-stated our wish to see the UK stem cell registers double in both size and potency. 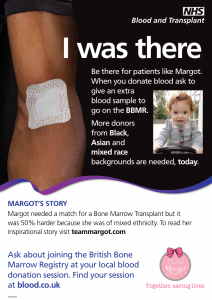 These are aspirations to see the total number of potential donors in the UK rise to 2.2 million (Margot was two years and two months old, when she passed away) and also a wish to increase the number of potential donors from the Black, Asian, mixed race and minority ethnic communities in order to meet demand. Such colossal goals can only be met via collective and collaborative efforts and we very much regard this as a matter of national interest and therefore a target for the nation. 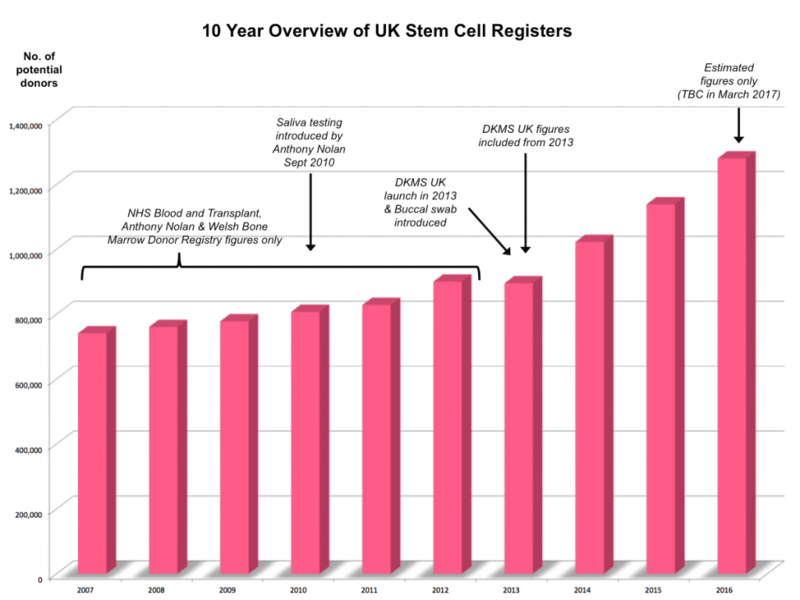 The attached bar chart illustrates the number of potential stem cell donors on the UK registers over the last 10 years. The net total number of potential donors since 2014 is particularly encouraging in that the accelerated annual growth heralds improving public awareness, which we believe reflects a combination of factors, including: greater ease of registration following the switch from blood to saliva (Anthony Nolan) and buccal swab (DKMS UK) testing as the way of joining the registers, increased investment both from the organisations involved and also from the government since 2011, the launch of a new UK donor centre, DKMS UK (formerly Delete Blood Cancer UK) in 2013 again, investing in recruitment and typing of potential donors and also it’s broader recruitment criteria, extending the upper age limit to 55 years old. It’s more challenging to track progress regarding the potency or quality of the registers. A key overarching point which is championed by Anthony Nolan is the importance of the retention of donors. 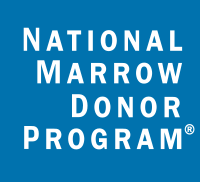 Often, part of the problem is simply locating the potential donor after a match has been found. When people join the register, it’s so important that they understand the commitment that’s involved in their action. For example, it’s not uncommon for potential donors to forget to re-contact the register and update their records after moving home. 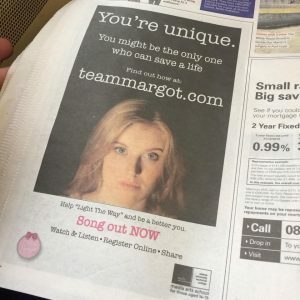 The odds are even worse if, like Margot, you’re mixed race. Given that the vast majority of registered potential donors are of white European descent, the UK registers all seek to increase the proportion of people they recruit from black, Asian, mixed race and minority ethnic backgrounds, in order to increase the quality of their registers. In other words, the practical reality is that this issue is likely to become ever more problematic. Our children’s children are the donors of the future and they will also be the generation of patients with the biggest problems to date in finding donor matches. Understanding this helps hone our focus and the work required to further diversify the registers in order to improve patient outcomes and address the shocking inequality that currently exists. W e thought that our first year as a charity was pretty spectacular, until our second year happened. 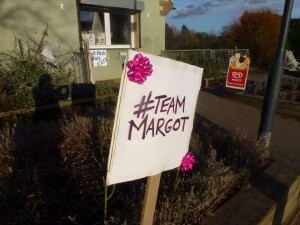 Team Margot has run many campaigns and different events during the last 12 months. There has been such a fantastic amount of activity that at times, we struggle to keep up with what you’re doing ! Whilst we aren’t attempting to cover everything that has occurred in this review, we very much hope that the following overview will give you a flavour and that it is representative of all your superb work and activities. 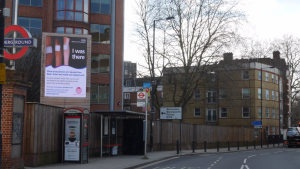 We were pleased to work jointly on two campaigns with the NHS Blood and Transplant, specifically designed to appeal to the black, Asian, mixed race and minority ethnic communities. 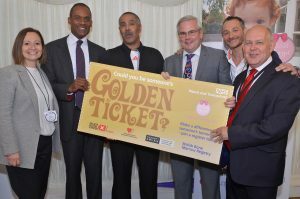 The most effective of these was what has become known as the ‘Golden Ticket’ campaign. 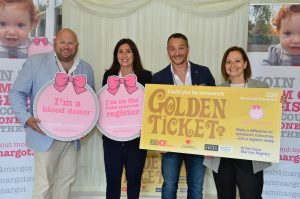 Tens of thousands of Golden Tickets were emailed, printed and posted directly to existing blood donors from the target ethnic groups, shortly before their blood appointments, encouraging them to join the bone marrow register by donating an extra 5ml sample of blood at the end of their forthcoming session. 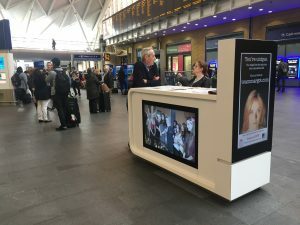 The campaign launched in June 2016 and consistently beat predicted monthly targets, reaching the annual target after only 6 months. 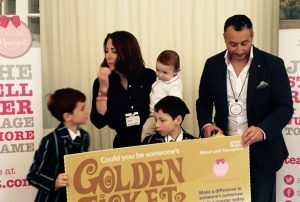 We understand the intention is for the NHSBT to re-run the ‘Golden Ticket’ campaign again at the beginning of the next financial year. 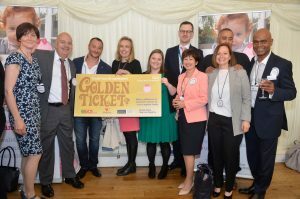 We adopted the Golden Ticket theme in May 2016, at our first Parliamentary reception at the House of Commons Terrace. This event represented quite a big step forward for the charity in it’s quest to make a difference, in Westminster. 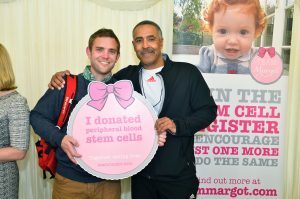 The primary aim was to appeal to both the Lords and in particular the MPs to support Team Margot’s campaign efforts and help raise the priority and importance of stem cell donor registration in their constituencies. The event was kindly hosted by Mark Tami MP and was a triumph; Jane Ellison MP, the then minister for Public Health attended to show her support and took the time to speak, alongside Judy Leden MBE, who only joined the register because of Margot’s appeal and later went on to actually donate her stem cells. 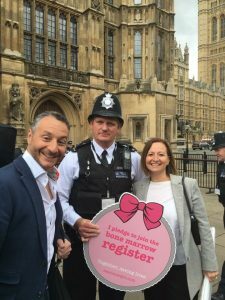 social media with many of the MP’s showing their support for Team Margot’s work within their constituencies. In Spring 2016, we were thrilled to announce an exciting new partnership, at KidZania London, the UK’s first educational entertainment experience where children aged four to fourteen can use real-life role play to learn life skills in a child-size City, built just for children. 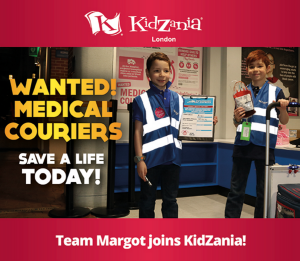 Together, we set up a dedicated activity within KidZania which educates children through real life role play on the importance of how ‘giving to help others’ can save a life: the Team Margot Medical Courier Service. Blending learning and reality, children are set a task to deliver everything from a blood bag (props donated by the NHS Blood and Transplant) to platelets and hard organs to understand how safe and speedy delivery can have lifesaving outcomes. It’s not only children who are learning, we hope that their parents are too. Parents have access to the City (but not the tasks) so can watch the activities being performed and after completing the activity, each child receives a Team Margot wristband, which they can then take home, when they leave. 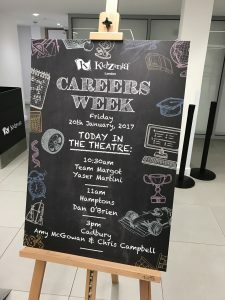 It hopefully serves as a reminder of the importance of what they have done at KidZania and we hope it sparks conversation with adults in the real world. Less than three weeks later, my friend, Franca Knowles also passed away from a brain tumour. Franca was a remarkable person who had a real zest for life, coining the phrase “Live Your Life” which became a creed for the company she helped grow, Beds and Bars. 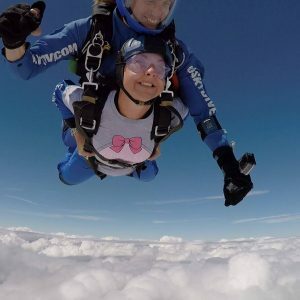 In her memory, her husband, Keith declared Franca’s birthday (30 July ) “Live Your Life Day”, a day when company employees can take the day off to celebrate life with their families or in support of a charity. 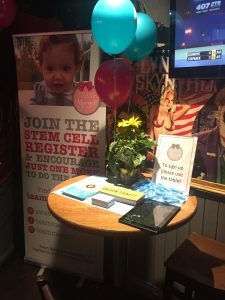 Last year, Beds and Bars, along with many other companies in the hospitality industry, supported Team Margot Foundation and this year, they decided to repeat it all again and encourage more people to join the worldwide stem cell registers. More generally, the hospitality industry continues to support Team Margot and the need for more potential donors within their venues and in response to requests, we produced a version of the ‘Light The Way’ video with subtitles, so that the video and it’s messages can still features on screens without the need for audio. 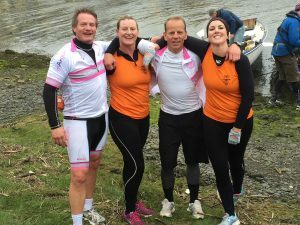 Team Margot Rowers first came together in September 2015 at The Great River Race, which was considered a ‘warm up’ event to The Celtic Challenge: an endurance event billed as “the longest true rowing race”, 95 miles across the Irish Sea. 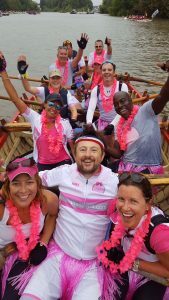 Team Margot Rowers entered two boats (24 people) in The Celtic Challenge 2016, however whilst we were all fit and ready to compete (in itself, no mean feat! ), the event was cancelled, owing to bad weather. 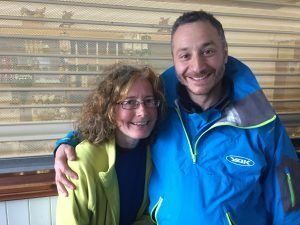 One of the rowers from the Aberystwyth team, Dr Maggie Collingborn donated her peripheral stem cells in 2015. Maggie has rowed the Celtic challenge 6 times ! winning the women’s race twice & the mixed race once. Regardless, a number of us regrouped and headed down to Aberystwyth where the race would have finished in early May, to take part in a competitive timed race around Aberystwyth harbour. 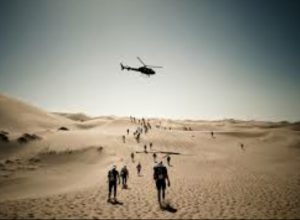 Forty four people took part in the time trial and lots were drawn to make up eleven mixed teams. The four fastest teams were entered into the final, which included four Team Margot Rowers, Clare & James Howard-Vyse, Mike Smith and Martin Beaumont. Ultimately, two Team Margot rowers, Mike and Martin found themselves in the winning boat with two experienced female rowers from the Arklow Ladies rowing team who have never lost the Celtic Challenge ! (pictured below); a fabulous achievement to have entered the Celtic Challenge for the first time and come away with a win. Moreover, Team Margot also won ‘The Presidents Cup’, an accolade awarded to the team that raised the most money for charity. 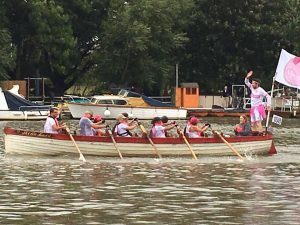 Over £32,000 was raised by supporters of Team Margot Rowers, which we learned was more than 75% of the total funds raised by all teams combined. An astonishing achievement. Team Margot Rowers have entered The Celtic Challenge 2017 and training is currently in full swing. Fingers crossed for better weather this year ! Thank you to all the Team Margot Rowers ! and also to everyone who has supported us and continues to do so. 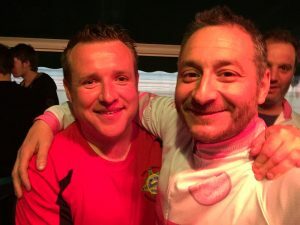 For the second year running, Wednesbury Athletic FC competed for the Margot Martini Cup in an exhibition match, this time against the Walsall Legends, again to raise awareness and funds for Team Margot Foundation. Hundreds turned out to watch the match which ended as a 4-4 draw; consequently Wednesbury Athletic FC hold on to the Margot Martini Cup. We are most grateful to all those who bought tickets, donated raffle prizes and to everyone for coming to support. 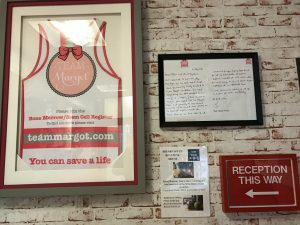 Thank you also to the Wednesbury Athletic team (who wear a Team Margot logo on their shirts every time they play) and in particular the organisers for making this happen in Margot’s memory. 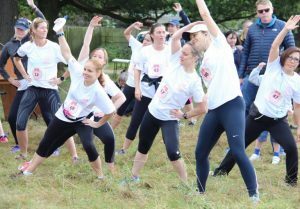 The Team Margot Ten Miler took place on Sunday 2 October 2016. 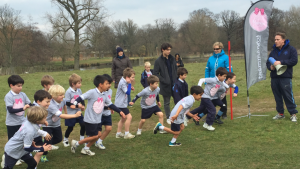 The course was essentially one lap of the perimeter of Richmond park, with a little extra loop at the end, just to get our fitness levels up ! 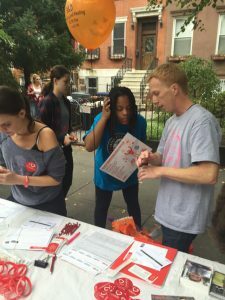 We asked that all runners be registered on the bone marrow register, if eligible. THANK YOU again to everyone involved with the Team Margot Ten Miler, our fantastic army of volunteers, the St John’s Ambulance crew, ResultsBase and of course the runners themselves ! The challenge with increasing the quality of the various bone marrow registers (and blood and organ registers too) by reaching out to those with BAME (Black Asian Minority Ethnic) and mixed race heritage is that these communities are the least engaged. There are many organisations and community groups working hard to improve this situation and whilst there is good progress being made, the overall cut through and engagement remains a challenge. Virtually all of this good work is aimed at adults (16+ years of age). We believe that there’s an opportunity to take a longer-term approach to this issue through education, targeted at children of primary school ages. 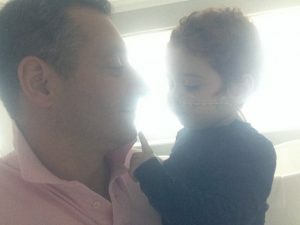 If we can reach out to children whilst their minds are still relatively open and make them conscious and aware of how “giving to help others” can help save someone’s life, then we believe that the UK registers will make meaningful strides towards addressing these issues, in the longer term. This is a concept that already has widespread and growing support. Working with children of primary school age, their teachers, parents and carers, our education programme will create and develop a dialogue for the issue of donation to be discussed in a safe and secure setting that is designed to engage young people at an appropriate level. 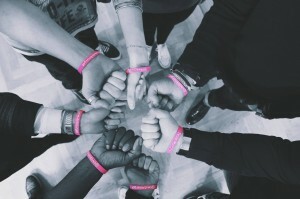 The overarching objective in the longer term will be that greater engagement and awareness will result in an increase of the number and proportion of people from BAME communities becoming donors. 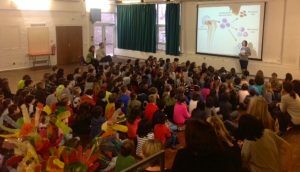 We are currently in the process of identifying and recruiting the right people to help research, design and develop our education programme and run the pilot to deliver proof of concept and, hopefully, lead to the growth of the programme to cover a wider geographical area in schools with a high percentage of pupil diversity. Ultimately, it is our intention for our education programme to form part of the mandatory and statutory curriculum, such that it can be rolled out to all primary schools, nationwide. 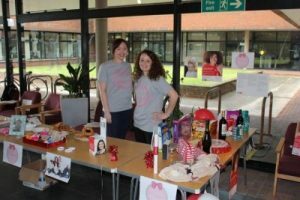 Our inaugural “Awareness” day took place on 7 October 2015, on the second anniversary of Margot’s blood cancer diagnosis. 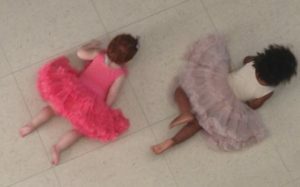 In 2016, we renamed it a “Registration” day (because we are learning !) 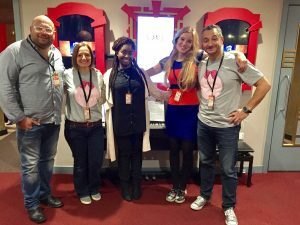 and marked the occasion by launching a music video, after two final year students at Elstree University Technical College, wrote a song inspired by Margot, called “Light The Way”. Music has the ability to engage and motivate large numbers of people and we remain hopeful that “Light The Way” will do just that. It’s difficult to convey the overwhelming sense of accomplishment and the heart-warming feeling and goodwill that Team Margot’s activities generated, however I hope that the accompanying video’s and photographs will help provide you with a glimpse into the sheer grunt work, dedication and unbelievable support that was enjoyed in the lead up to, on and following our Registration Day on 7 October 2016. 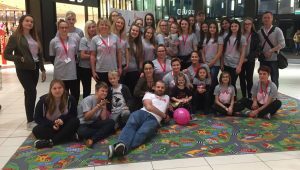 All the above support and activity was generously donated to Team Margot Foundation. And of course, none of this would have worked were it not offered up, organised and attended by all the wonderful Team Margot volunteers. 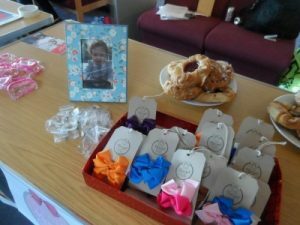 Margot was at Great Ormond Street Hospital for several months and we know how hard life can be when caring for a sick child. A 2016 study highlights the destructive financial impact by reporting that a third of cancer survivors are left in debt due to their treatment, inability to work or other factors and 3% are bankrupted by their illness. 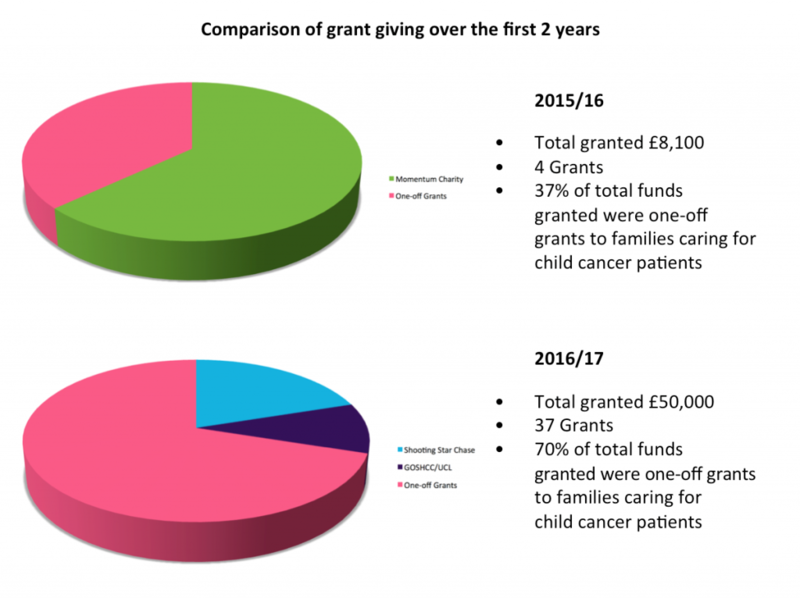 During the last 12 months, we made 35 one-off grants of £1,000 to families caring for child cancer patients. 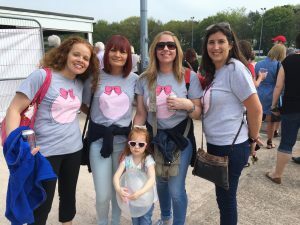 These families mainly stem from the haematology wards at Great Ormond Street Hospital, but also through a charity that’s based at what was Margot’s local hospital in Kingston, called Momentum. The trustees are pleased to be making these one-off grants in the belief that they help in some small way. We are currently setting up similar arrangements with Birmingham Children’s Hospital and hopefully at Bristol Royal Hospital for Children, working with the Anthony Nolan Patient Services Team, to enable these grants to reach more families besides. Firstly, £5,000 towards a leukaemia research project run by UCL in collaboration with Great Ormond Street Children’s Charity. 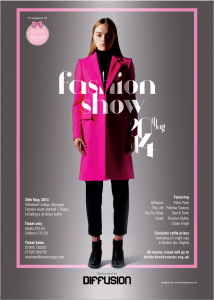 This follows a £60,000 Team Margot donation in 2014, prior to the formation of Team Margot Foundation. In infant leukaemia, 50% of babies will die in spite of very aggressive chemotherapy. Excitingly, the team has discovered a potential new targeted treatment. Research has shown that around 8 in 10 cases of infant acute lymphoblastic leukaemias (ALL) are driven by MLL (mixed lineage leukaemia) fusion proteins, which is produced inside the cancer cell. Guided by this understanding, Dr Jasper de Boer and his team has found that one drug in particular was extremely effective at destroying MLL fusion proteins in leukaemia cells in the lab and, crucially, halted their growth, killing the leaukaemic stem cells. These are the cells from which the leukaemia grows and are resistant to conventional chemotherapeutic drugs. Dr de Boer’s current priority is optimising the drug formulation, before being able to commence a clinical trial in humans, however, there is already good evidence that this drug is safe to use in humans, as it has been on the market for many years. We will continue to track progress and update, as matters unfold. 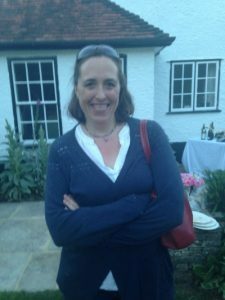 Secondly, a donation of £10,000 was made to Shooting Star Chase, the leading children’s hospice charity that provided a place for Margot’s body to rest, prior to her funeral. 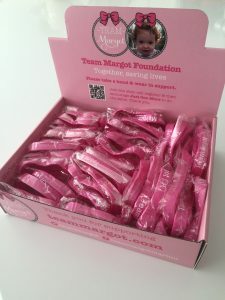 The grants made by Team Margot Foundation are only possible because of you and your generosity. On behalf of everyone involved at Team Margot and in particular the grant recipients, thank you. As at 29 January 2017, the total fundraising and cash donations received during the last 12 months amounted to £99,640.06, which is up almost 17% on last year’s total. This is all the more incredible given that the charity doesn’t actively fundraise or publicly seek financial donations. a working account– this account received £28,606.62 during the course of the last 12 months. It was originally funded via donations from our family (who remain the underwriters) but is currently supported by generous corporate donors and private individuals who contribute to support the marketing and promotional costs of running the charity. All such costs are paid from this account. The trustees have budgeted for the year ahead and will monitor and review the cash balance. Any funds that are surplus to requirements may be allocated as grant money. a fundraising account– this account received £71,033.44 (including £94.17 of interest) during the course of this year from generous donations and fundraising activity by the general public. Notably, this includes £32,032.25 raised by Team Margot Rowers in respect of the Celtic Challenge. 100% of this money will be granted to the wonderful people and charities we support. 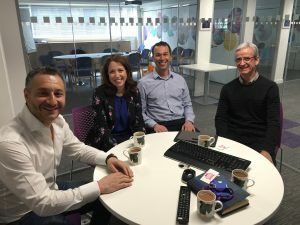 The reason for having two bank accounts stems from the trustees wish to separate publicly raised and donated funds, which are intended to be given away as grants, from any specific donations received by Team Margot Foundation for marketing and promotional purposes. The trustees feel this is an important distinction, which enables us to state that every penny raised or donated by the public goes to the people and projects close to our hearts. It is the intention of the trustees to maintain this structure and to continue to operate in this way. 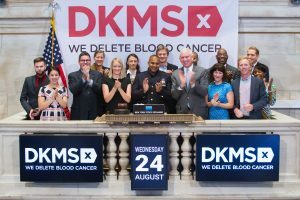 Statistically, we are told by DKMS UK that over the next 10 years there are going to be more than 500 people who will now receive a potentially life saving bone marrow transplant, thanks to the work of Team Margot. On average, that’s about one a week ! 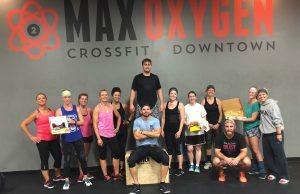 although for the most part, we don’t get to hear about these donations, which is why we love learning about them when people are willing to share their experiences. “On the day of my donation I was asked to turn up bright and early at 8am to allow enough time for them to collect enough stem cells. I had a needle in one arm where the blood was removed, it was then run through a machine which separated my stem cells from my blood and then returned the blood to me through a needle in my other arm. My blood also had an anti-coagulant added to it to make sure my blood didn’t start clotting and disrupting the donation. Read more about James’ experience here. 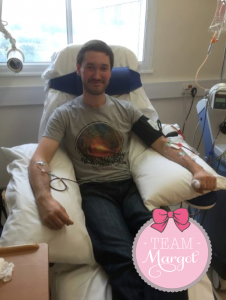 “If it wasn’t for Margot, I would have no idea about blood cancer and stem cell transplants. 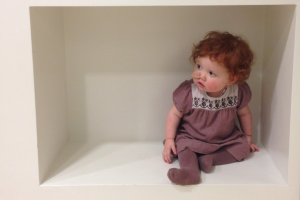 I held Margot in my head whilst going through the donation, which made everything easier. Because of her, I have given a 24 year old Indian boy a second chance at life. I’m told he is 25KG heavier than me, so in my case, I needed to donate on two consecutive days so that they could collect sufficient to help save him. I experienced some side effects (I was told to expect this) but was completely back to normal 48 hours later. I have avoided trying to name all our fantastic volunteers and supporters here because it’s simply not possible to do justice to the many wonderful people, companies, schools and communities who continue to support Team Margot, but from the bottom of my heart, T H A N K Y O U to all involved with Team Margot (you know who you are !) 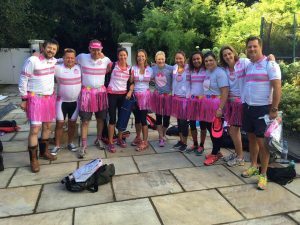 and in particular a brief but special mention to those who make one-off or regular financial contributions to Team Margot Foundation. 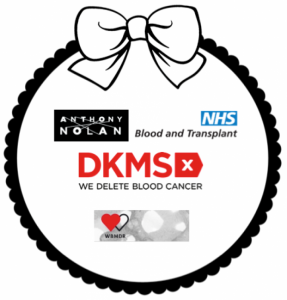 Thank you also to the NHS Blood and Transplant, the Welsh Bone Marrow Donor Registry, Anthony Nolan and DKMS UK – these organisations enable us all to join a register as potential bone marrow donors. And whilst it needn’t cost the potential donor any money to join, this is only possible thanks to the excellent work by these government departments and charities & their amazing fundraising efforts. 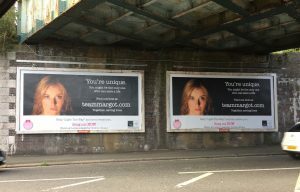 I’d also like to take this opportunity to thank all the trustees of Team Margot Foundation: Margot’s auntie Charlotte and James for everything that you do and in particular my sister and Margot’s auntie Nadia who brings so much to the table and complements me, making up for my shortcomings. Lastly, I also wish to thank my wife, Vicki for her love, support and compassion and also our boys, Oscar (9) & Rufus (8) for their understanding; being in our situation is challenging and it impacts each of us in different ways. And of course, Digby (19 months) for the joy he brings; Margot would have loved her little brother.